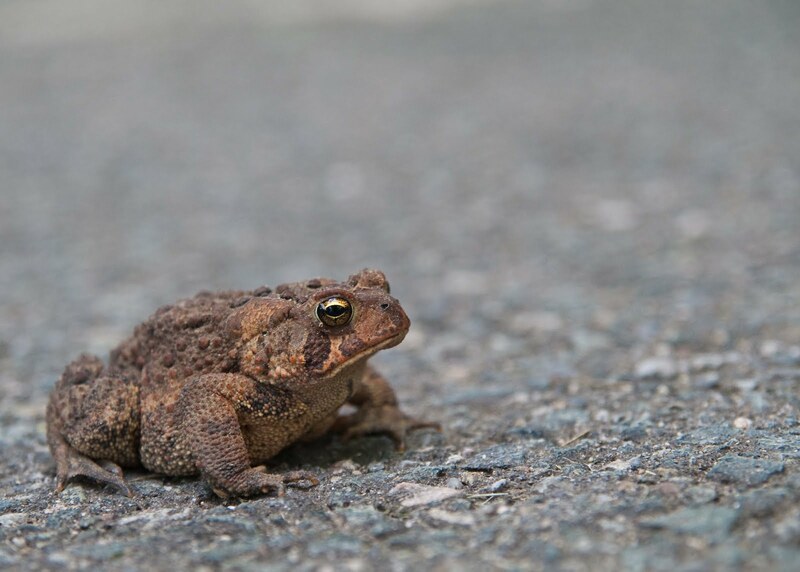 Why would a toad want to hang out in my driveway? Great closeup. Were you laying on the driveway too? Great photo. I love checking back every day to see what you've posted. I recently got a fancy new camera and I am like you once were- using the auto features only. Some day I'll progress, but I've only had it about a month. Drop by my blog and you can see a few of my photos. He posed nicely for you though. Great capture! seeing he's cold blooded he probably wanted to get all nice and toasty.